Earlier this year, the Vancouver School of Theology announced the sale of its Iona Building to UBC‘s Vancouver School of Economics. 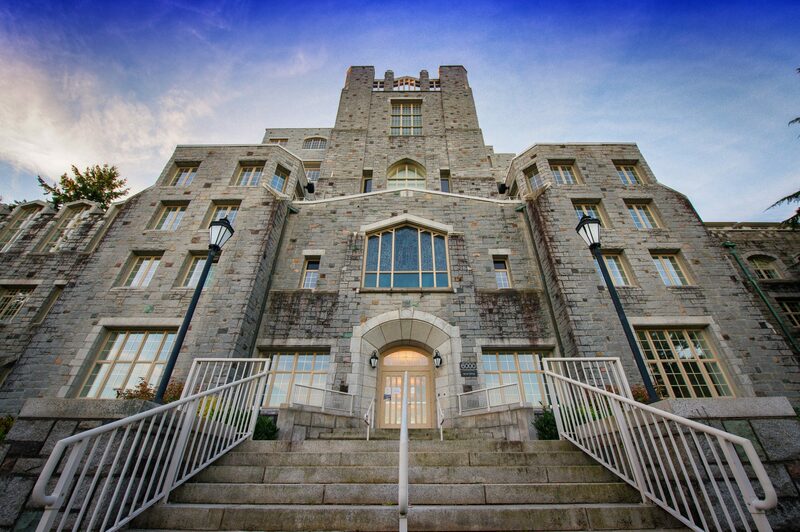 While the Vancouver School of Theology (VST) $28 million sale of the iconic Iona Building ‘castle’ to the University of British Columbia is significant news, VST principal Richard Topping suggests there is more to the story. The ‘more’ relates to the changing scene in Canadian theological education — particularly the increasing role of online learning and expanded educational services to present and future ministers and faith leaders. Dr. 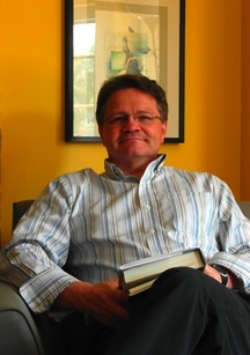 Topping is a minister who pastored one of Canada’s largest Presbyterian churches, did most of his theological studies at Wycliffe College, Anglicanism’s evangelical seminary at University of Toronto, and earned his PhD from St. Michael’s College, a Catholic institution also at the UofT. VST’s new principal Richard Topping is optimistic about the school’s future. Topping asserts: We have the incredible opportunity to construct a purpose designed facility to advance thoughtful, engaged and generous Christian faith for the 21st century. Amplifying on that statement, he notes that the student body, at present, is 115, but draws from a range of faith backgrounds, including the school’s participating bodies — the United, Presbyterian and Anglican traditions. The landmark stone-faced 100,000 square foot building topped by an imposing tower and featuring stunning views to the north, was built shortly after the 1925 church union. That union brought together the Methodist, Congregational and a large section of the Presbyterian denominations in Canada. That original Iona was known as Union College. Growing up around them in subsequent years were the Anglican Theological College (ATC), St. Andrew’s Hall (Presbyterian) St. Mark’s / Corpus Christi College (Catholic) and Carey Centre (Baptist). Regent College came into existence in 1968 but, before it moved into its own building across campus, it occupied one wing of Union College. Somerville House may be renovated to accommodate VST activities. He added that “[VST] was using about one-quarter of the Iona Building in recent years.” He said that while final plans are still in process, Somerville House, a smaller structure in the north part of the “neighbourhood” may be renovated to permanently accommodate VST activities. Somerville House was built on the site of the structure which originally housed ATC, near the Chapel of the Epiphany, which remains a worship centre for the complex — and home to University Hill United Church. Alternatively, a new structure may be built, equipped in a fashion that recognizes the breadth of theological interests that exist around the Pacific Rim. As a Pacific-facing institution, that emphasis is significant, says Topping. All the theological facilities on and around Iona Drive form what is known at UBC as the Theological Neighbourhood. While each institution maintains its independence, the arrangements they have in common are governed by a covenant. 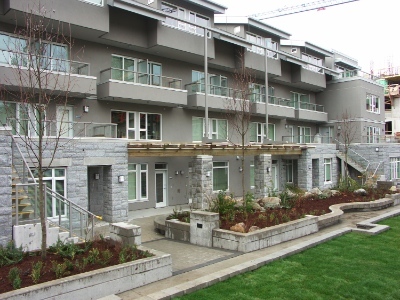 Investing in its facilities on the Vancouver campus. 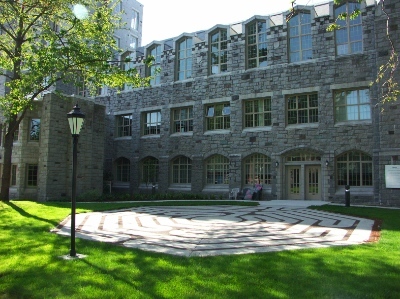 The south side of the Iona Building, with a labyrinth. The Iona Building sits on UBC-owned land leased to the theological school for 999 years. UBC plans to take possession this coming July, with a view to beginning use for the economics school in the fall of 2015. In effect, while differing in their general education purposes, the Vancouver School of Theology and the Vancouver School of Economics share a less than parochial outlook. As Topping indicates, VST’s west coast location lends to it a Pacific Rim perspective; many of its students and faculty come from outside of Canada.